Image 1 of 2 Director Benedikt Erlingsson in Oslo last night with scriptwriter Ólafur Egilsson, and producers Marianne Slot and Carine Leblanc. Johannes Jansson/norden. Image 2 of 2 Halla, the main character in the film Woman at War. 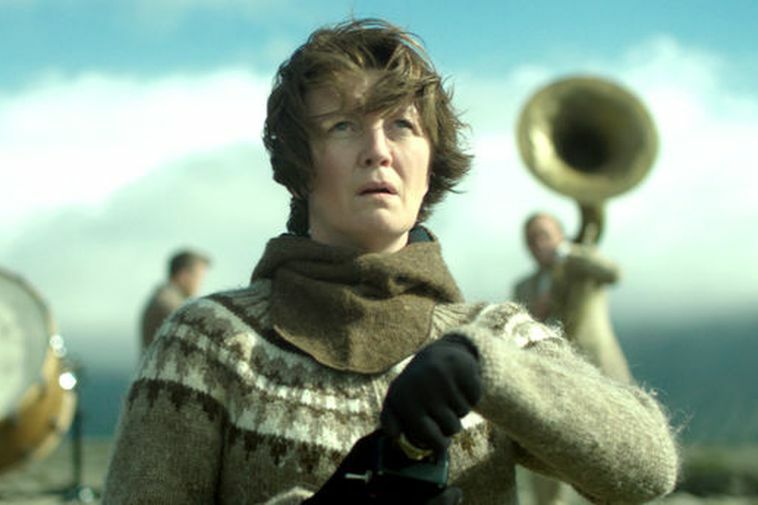 Woman at War (Kona fer í stríð) won the Nordic Council Film Prize last night at a ceremony in Oslo. 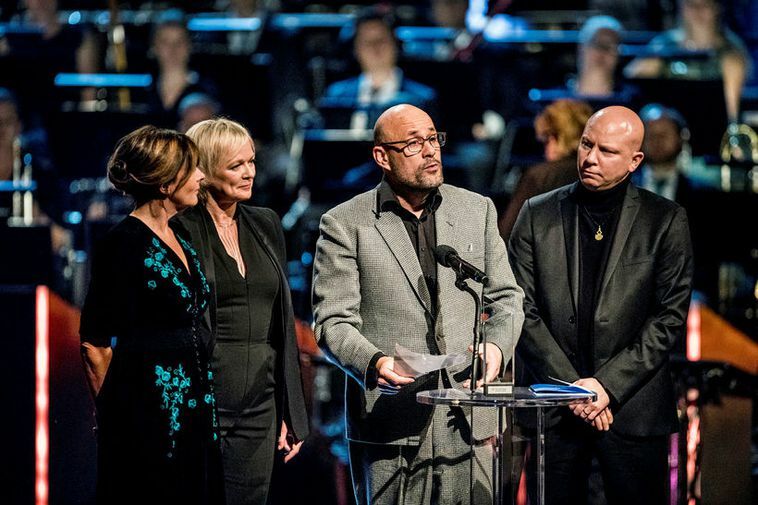 Director Benedikt Erlingsson said jokingly speaking to mbl.is that he considers himself a Nordic master of film seeing as he also won the prize in 2014 for Of Horses and Men. He furthermore says he's surprised that he won again." I thought there were some kinds of politics as to having won before." In the speech Erlingsson made last night he conveyed a message to politicians from the main character woman in the film, Halla, who goes to war to protect Icelandic nature. "She would say to you: You are important people, because you have taken up the challenge to fight global warming. You are courageous people, because you can say to your voters, vote for me and I will make sure that you will get less of everything. Good luck with that." Woman at War has received numerous international awards since its release.